The Bone Marshes is a tabletop adventure about getting lost. It’s tailor-made for groups that enjoy exploring complex spaces and drawing maps. 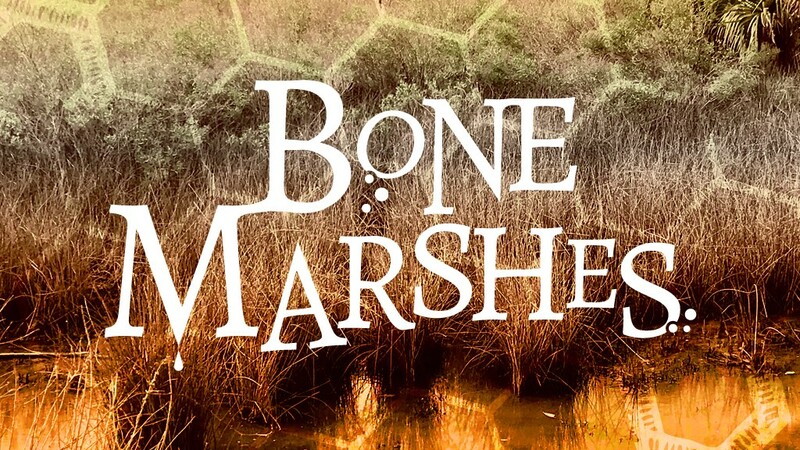 The Kickstarter completed in February of 2019, and Bone Marshes is currently in development! The Bone Marshes is an adventure filled with mapping and exploration challenges for the players. Great care and effort have been taken to ease the burden on the GM and provide players with a difficult but not impossible challenge. 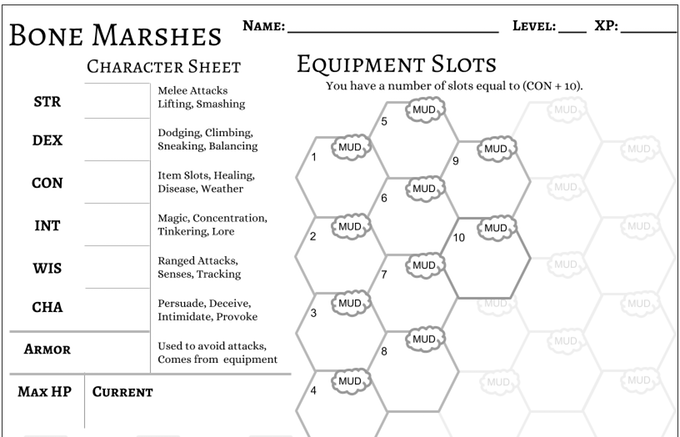 We use clean organization, special time-keeping and travel rules, and player handouts to keep people engaged and on the same page in this topsy-turvey land. The Bone Marshes is a three part adventure module, each of which can be run separately or consecutively. Each part provides 2-3 sessions of gameplay. Part I: The marshes burn from constant daylight. The sun still rises and sets, but daylight remains constant, sun or no. The Mage Azimech recently discovered this terrible situation and has put out a call for adventurers to map safe routes through the flaming swamp. Part II: After the caravan has arrived (thanks to your mapping skills), Azimech needs you to head back out and discover the source of the constant daylight. Part III: Now that she knows the root cause of the problem, she thinks there is a solution. It involves plumbing the depths of the tunnels beneath the marshes, discovering an ancient vault, and returning with valuable artifacts.